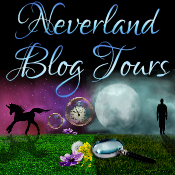 I'm delighted to be kicking off Avon's blog tour for the new novel by Claudia Carroll. 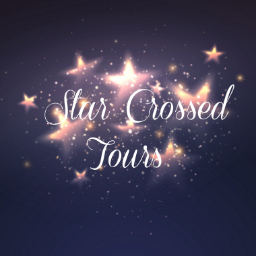 Throughout the tour, bloggers will be sharing some exclusive guest posts that Claudia has especially written for you to read. These will range from her life as a writer and getting her first book deal to books she loves. There's even a short story based on New Year's Eve so please make sure you check out the other bloggers on tour so you don't miss out. On to Lozza's Book Corner then... I'm pleased to be handing you over to Claudia for a guest post where she explains her research for All She Ever Wished For... enjoy! 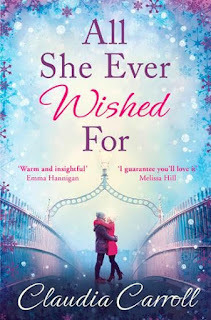 Claudia's Guest Post - Researching ALL SHE EVER WISHED FOR. 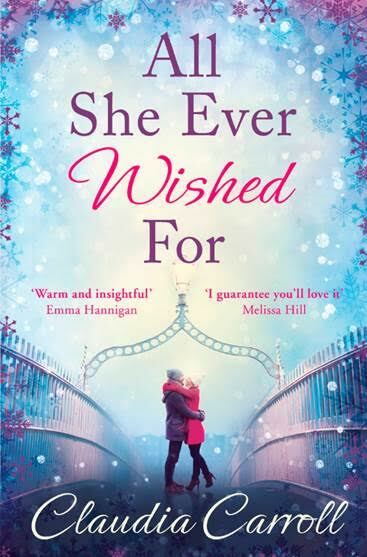 When I was writing ALL SHE EVER WISHED FOR as you can imagine, I had a mountain of research to tackle. The book is primarily a love story, a romantic comedy in places, but as you can imagine, because a lot of the action takes place in a courtroom, it had to be spot-on accurate too. Of course, like the rest of us, I’d binge watched just about every courtroom TV drama going and make it a point to watch Judge Judy on the tiny TV screen in front of me on the race occasions I make it to the gym. But I had to find out what a real courtroom was like for myself. An actual court of law where a jury were sworn in and then asked to make possibly the biggest decision of their lives, which would change the destiny of the accused standing in the witness box. Scary stuff. Have you ever been selected for jury service? I haven’t, but I began by chatting to anyone I know who actually had been summoned. One friend was summoned not so long ago and ghoulishly confided that she was all excited, ‘hoping it would be a good old fashioned murder trial.’ I think she fancied herself as the Henry Fonda character in Twelve Angry Men, but I tactfully kept my mouth shut. In the end though, she was sadly disappointed to find out it was just a dispute between two neighbours over a boundary wall, a tree and a barbeque one had borrowed from the other and never bothered returning. All of which cost the taxpayer tens of thousands to resolve in court, where surely banging their two heads together years ago would have sorted it out one way or another. But I lucked out when chatting to a friend of a friend who was selected to serve on a jury to preside over a long-running high-profile white-collar crime case. He was obviously forbidden from talking about the case, so I didn’t probe him, but was full of chat about the ins and outs of actually serving. The day-to-day mechanics of it, including the fact that you’re effectively locked away from the world for the duration of the case, and told not to Google anything about it, or even to follow the case if it happens to feature on the news. So what must it be like, I wondered, to serve on a high profile court case? One that everyone in the whole country seems to be talking about, and yet you’re forbidden from doing exactly that? I contacted the Jury Selection Officer at the Central Criminal Courts here in Dublin and was astonished at the sheer amount of help she generously gave me. The thing is, when you cold call someone out of the blue, I find a lot of the time no one believes you when you say you’re an author researching a book. You’d b astonished the number of people I’ve approached who think you’re just some chancer with time on their hands who fancies a bit of a nose around. Jackie at the Criminal Courts was amazing though. Not only was I given the full, guided tour of the courts, but I was even allowed to sit in on a Jury Selection procedure, with a judge in situ. There was I was the back of the court, scribbling away into my little notebook, copiously taking notes, when a Guard sauntered up to me and sat down on the bench beside me. ‘First offence, is it love?’ he asked, folding his arms and looking me right in the eye. ‘Ehh….sorry?’ I asked him, confused.